It's hardly news that interest in Scandinavian crime fiction has made an impact on American readers. Sure, Stieg Larsson's trilogy had a lot to do with this. But readers wouldn't be buying these books if the stories weren't compelling. This focus on international mysteries has been business as usual since 1987 for Soho Press. More than any other publisher, Soho Press specializes in the unusual mystery set in foreign countries. Sometimes, that foreign land is as close as England such as James Craig's London Calling, about a Metropolitan police inspector who navigates an election and the British political system to protect the life of the next prime minister; or Cara Black's elegant stories set in Paris, such as Murder in the Marais. Or Michael Genelin's Requiem for a Gypsy set in Bratislava, Slovakia. At Soho Press, the exotic thrives. To Americans that means novels such as Quentin Bates' Frozen Assets set in Iceland; Graeme Kent's Devil-Devil set in the Solomon Islands; Jassy Mackenzie's Stolen Lives set in South Africa; or Adrian Hyland's Gunshot Road, which explores the Australian Outback. But the "exoticness" of America also thrives. We go up to Alaska with Stan Jones' Village of the Ghost Bears. Or to the heart of New York City's Chinatown with Henry Chang's Red Jade. And we get a glimpse of WWII with James R. Benn's Billy Boyle and David Downing's Potsdam Station. Colin Cotterill got his start at Soho with his Dr. Siri novels such as Love Songs from a Shallow Grave. 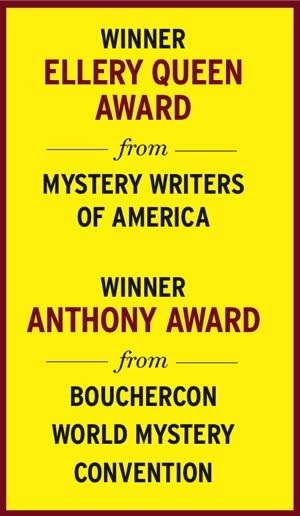 Cotterill was one of the international guests of honor at this past Bouchercon. Soho Press also has a real eye for quality. Stuart Neville's The Ghosts of Belfast won the Los Angeles Times Book Prize and his follow-up Collusion made the L.A. Times Book Prize short list. (I was a judge both years). Neville's latest is Stolen Souls. I always look forward to novels from Soho because I know that these novels are special. Soho Press launched last month the US debut of one of Denmark's bestselling crime writers. 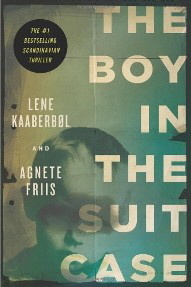 The Boy in the Suitcase is the first collaboration of Lene Kaaberbøl and Agnete Friis, Denmark's "queens of crime fiction." In The Boy in the Suitcase, a nurse, who works underground helping vulnerable illegal immigrants, temporarily leaves her own family as she tries to save a three-year-old boy who's been kidnapped and found drugged, but alive in a suitcase hidden in a Copenhagen train station. The Boy in the Suitcase is the first installment in the long-running Danish bestselling series featuring nurse Nina Borg. It was a finalist for the Scandinavian Glass Key crime fiction award. I often pack Soho novels when I am traveling overseas and on several occasions have given a novel to a friend who would be traveling to a specific country. Of course, the armchair traveler only has to pack these novels to visit another land.